NEW PRICE! Located on 16.3 pristine acres with 3 bedrooms and 2 full baths (1798 sq ft) home with full basement! Perfect opportunity for developers, equestrians, and farmers. Wooded and pasture land with creek on back. Perfect for anyone who wants convenience toTravelers Rest shopping and restaurants, Swamp Rabbit trail, mountains but also the privacy to enjoy life. 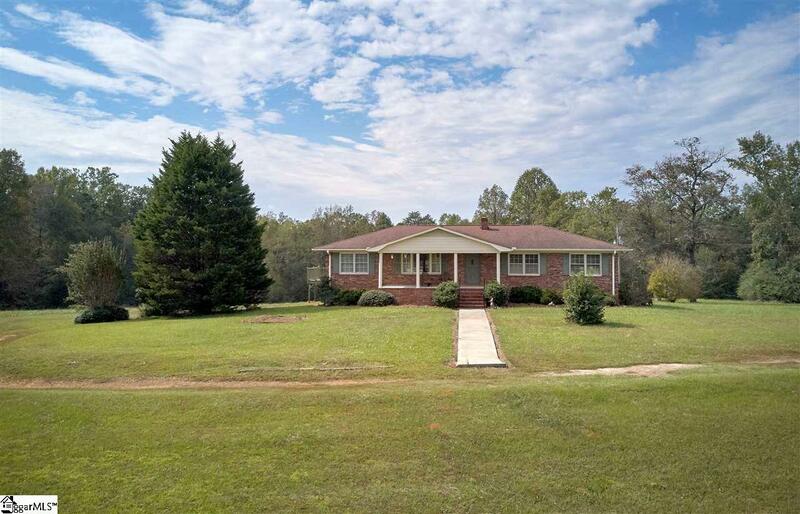 Traditional full brick ranch- one owner home- with 3 bds/2ba with formal living and dining rooms. Nice den has brick fireplace and built-in desk/bookcase. Full unfinished basement partially studded with second fireplace and 2 walkouts. Large detached building with electricity for workshop, extra storage or man cave...potential is endless. Lots of opportunities await you. Schedule your showing today!